"Overall Consagous team was good in relation to price and speed. The road to be excellent is not far reaching if they turn their focus from quantity to quality. QA/QC is much needed and more ..."
"The Seasia Team is fantastic. They really came through on this project for us. With their help we were able to develop a very unique low cost tech item to track the usage of Web Keys and U..."
"RipenApps has a dedicated and technically sound team very ably marshalled by Ishan. Apart from being cost-effective, the team usually goes well beyond their scope both in terms of time commi..."
"They've been a great team to work with and really helped with the more complex side of the project. I'd definitely recommend them to anyone." "GTS Infosoft has a wealth of knowledge and expertise. They are flexible to work within your requirements and I have already recommended them to several people for web and mobile app projects..."
"Great quality. Fantastic communication with the client! I will recommend 180 Creative to everybody that needs a solid development team you can rely on!" "I would like to point out that our cooperation with NoGravity has been ongoing for more than two years now and we finished many projects together – the most important ones are CMS, workflo..."
"Pan India is a very good company for getting your game development Although they have taken time to get it done for a game. But a recommended team, to work with for all your IT needs"
"A great team of enthusiastic and motivated professionals with an extensive skillset." "We are very satisfied with our cooperation with itCraft. They are doing very good work with all necessary services and are great in cooperation. Always on time, not exceed the budget, workin..."
"Quantum is an expert in app development and truly care about their customers, they deeply understand what our needs and developed a well-optimized application." We have experts available on various technologies Magento, Wordpress, Joomla, Drupal, CakePHP, Zend, PHP/MySQL, Laravel, etc. "I am very much happy with the outcome of my project. WDP technologies is one of the best service providers I've worked with. They have very much skilled and experience professionals who know..."
"I have worked with Softprodigy (Ujjwal, Sumit, Raman and team) for around 10 months now and although any development always has it's snags, the project has gone well and the team have been v..."
With our expertise in designing, developing and supporting web applications, we translate your business idea into the right set of technologies and develop your web application from scratch. "Startup Creator and especially Florian Hübner made it possible for me to start my startup. I appreciate him very much as CEO and I am very grateful to him and his team for their time, work ..."
"Sanjay and his team were a pleasure to deal with . Timely, accurate, communicative, reliable and highly professional. We would highly recommend anyone to use QSS Technosoft." "Great to work with, and stuck to the agreed-upon budget. Very happy with the final product! 10/10 will work with again!" We're web designers and full-stack developers. We can also build PWAs. "Igniva Digital are very structured, you know who you are talking to, who can help you with a question and work across Web, IOS, Android. Nothing is too much for them." "SimbirSoftsuccessfully completed all tasks in short term. We were surprised that Android developer was able to swiftly take on the existing application and bring it to the complete and final..."
The web market is now more alive than ever, as there are almost 2 billion websites available in the world. Although mobile app development is continuously growing, there are still some brands that feel there’s no need for a mobile app. But do you know any serious company that doesn’t own a proper website? Contrary to popular belief, websites are not dead. In fact, webs (desktop or mobile) should be ideally combined with an app in order to maximize a brand or an individual’s success and exposure in the online world. In fact, having a website allows you to support a mobile app, adding extra information or providing other features that your users might find useful. Desktop usage might be decreasing over the years, but mobile access is doing quite the opposite, which presents a new opportunity and challenge for web developers. There’s no doubt that websites should be responsive, otherwise, they are a lost cause. What are some great tools or technologies to develop a great web? Some of the main players are the following: Wordpress, Drupal, Magento, Laravel, Ruby on Rails, Django, and Java. In this directory for top web developers, you can expect to find the best web developers worldwide with a review system that thoroughly validates every feedback received. 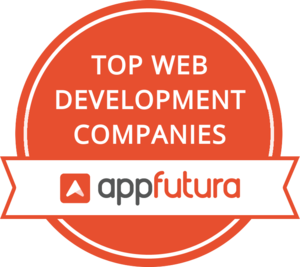 The AppFutura platform lists more than 3500 top web developers that you can hire and start working with via our escrow system. Contacting any of the developers on this list is quite simple: send them a message via the Contact button, access their phone number or visit their website to ask for a quote. In addition, you can also go ahead and create a web project so development companies can make proposals based on your idea.